The Danube River, the Marcal, and several other European rivers – and the communities and ecosystems that rely upon them – are at risk following the collapse of a dam holding back millions of tons of toxic metal-processing wastes at a Hungarian alumina plant. The accident has killed 4 people and injured at least 120 others and has covered an area of about 15 square miles with toxic red sludge. 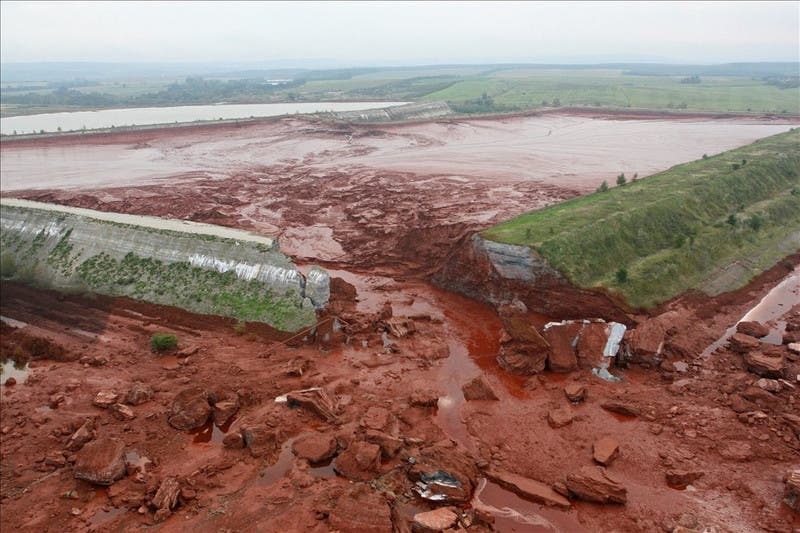 "The catastrophic mine waste breach in Hungary echoes similar incidents in Europe in recent years, according to Payal Sampat, international campaign director of EARTHWORKS, which works to protect communities and the environment from destructive mining and drilling. "In 2000, the Baia Mare gold mine in Romania leaked 100,000 cubic meters of cyanide into the Tisza River, eventually reaching the Danube in Hungary, decimating aquatic life and contaminating drinking water supplies for tens of thousands of people. This was followed by mining-related waste spills in Sweden, Spain and Greece in the last decade." These types of wastes are tainted with heavy metals and chemicals like cyanide and arsenic – and are either stored on land in enormous tailings reservoirs, as was the case in Hungary, or dumped directly into natural water bodies, which is the case in many parts of Southeast Asia and is under consideration at mines in Alaska and Canada. Hungary says it will take at least a year and millions of dollars to clean up the damage. In 2000, Hungary suffered large-scale pollution when a goldmine flooded.